I was honoured to be interviewed along with fellow Toronto bloggers Emma at The Marion House Book and Chris at StyleNorth for this article in Saturday's The Globe and Mail. I'm intrigued by Margot Austin's comments that bloggers fall into two camps - "'super fans' obsessed with all things decor, and professionals such as Ms. (Emma) Reddington who use their blogs to help create their own brand". What do you think? Do you agree? Which camp do you fall in to? I have to admit that up until recently, I never really gave much thought to my brand (and by default, I've never consciously really used the blog to further that brand). The blog just kinda is what it is, a mismash of my interests, projects, and goings-on, decor or otherwise. Kudos to those who can be a bit more strategic about things though. 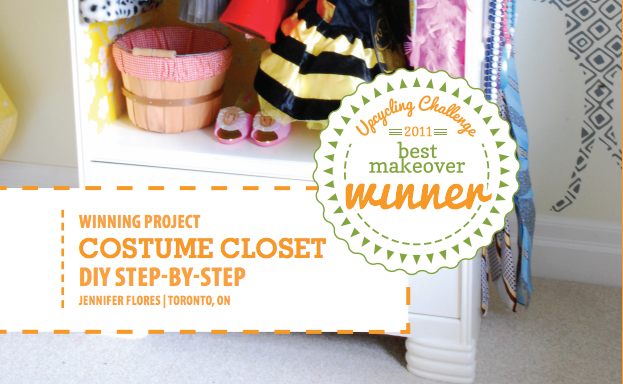 Do you remember Chloe's costume closet that we made last fall as part of the Earth Day Canada's Upcycling Challenge? Well, we won in the Best Makeover category! Woohoo! Using the step-by-step instructions I provided, the fine folks at Earth Day Canada put together a SUPER cute manual on how to build the costume closet. Check it out if you want to tackle this project for your wee one. We won a Panasonic 18V Drill and Driver kit for our efforts. I can't wait to use it on some basement projects! 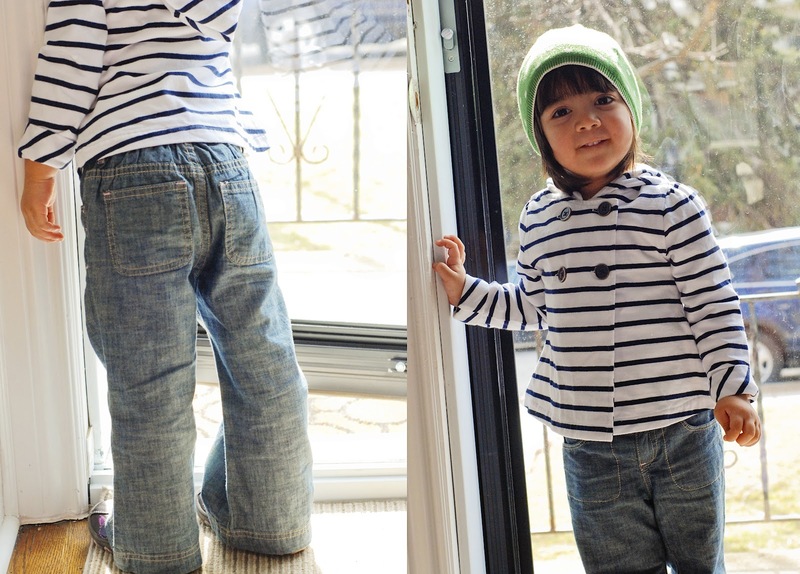 That is one fashionable kiddo!